The project Polish Mission in Auroville is the result of Janek Simon’s journey to Auroville – an experimental city in southern India. Founded in 1968 by an immigrant from Paris, Mirra Alfassa (The Mother), as a project of the Sri Aurobindo Society, Auroville combines progressive, utopian traditions of the west with ideas rooted in Indian philosophy. The aims of the international community living in the city were defined as constant development, unrestricted spiritual quest and joint work both fulfilling individual aspirations and serving the common good (“Human Unity”). Today, Auroville is known mostly for its achievements in the area of ecological, sustainable solutions in construction, farming and for experiments in the fields of education and self-government. Janek Simon’s scenario is based in a residency of a few artists he selected in Auroville. The outcome of the joint residency is to be a joint exhibition in one of the local galleries and a film covering their stay in the city. The artists picked by Simon share, according to him, the characteristics of being charismatic, defeatist and having a dark sense of humour. They explore absurd existential problems and question the possibility of transparent communication in art. Such criteria for selecting the participants of the project are the result of a need to see the interaction of ironic, decadent and pessimistic attitudes with the optimistic context of Auroville at work. To what extent do these features of character relate to typically Polish conditions? What will happen when they are put in an extremely different environment? Will they shake the local ideology of progress or will the artist perhaps become infected with the dictate of positivism? 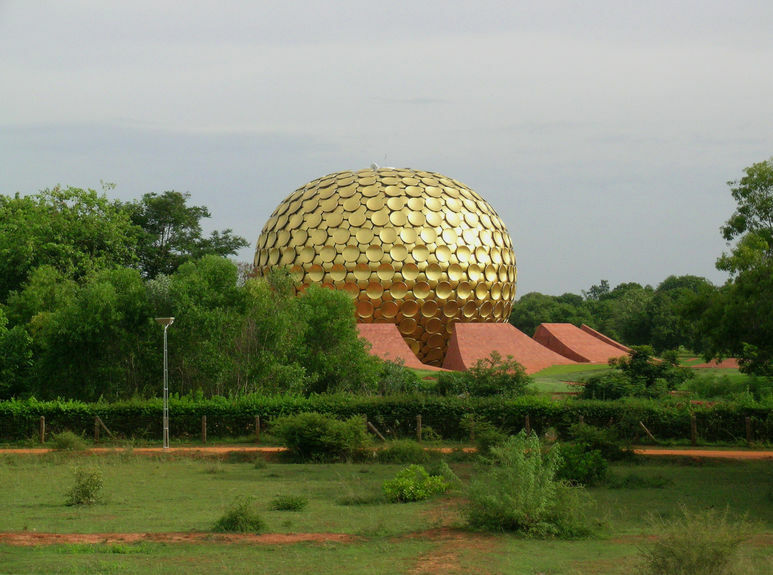 Can Auroville serve, on a micro scale, as a model for the future of Europe: a transnational assembly, connected by ideas of improving community life? What is excluded or displaced by such a project? The exhibition consists of items collected by Simon during the initial visit to Auroville and sketches of further development of the project. The scenario also includes a work by Daniel Rumiancew „Dancing With Tears in My Eyes”. Rumiancew’s artistic profile is representative of the prospective group of Polish residents in Auroville. The Polish Mission in Auroville project is a part of a joint exhibition Scenarios about Europe: Scenario 1. Scenarios for Europe is an international project organised by Galerie für Zeitgenössische Kunst in Leipzig, the Goethe Institute in Munich and the regional Goethe Institutes. In 2012 specific projects and exhibitions will be produced in Brussels, Istanbul, London, Łódź, Minsk, Novy Sad, Oslo, San Sebastian, Taipei, Beijing and Shanghai.